Data are displayed as column % or mean±SD. P<0.001 for all comparisons between bilateral and unilateral recipients. Data are displayed as column % or mean±SD. ↵a P<0.001 for comparison between groups. 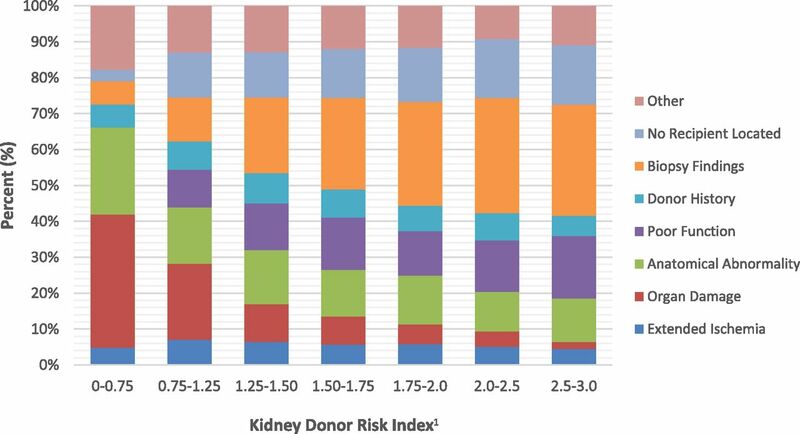 Kidney Donor Profile Index (KDPI) is calculated using the scaling factor for 2015.